Toronto International Film Festival (TIFF) has unveiled the first set of film titles premiering in the Gala and Special Presentations programmes in this year’s edition of the fest. Three Indian films will have there world premiere at Toronto. All the three films are part of Special Presentations. Anurag Kashyap’s latest film Mukkebaaz is titled The Brawler for the fest edition. The 145-min long film is about a lower caste boxer struggling to make his mark on the boxing world. The film stars Vineet Singh in the lead role. Hansal Mehta’s Omerta recounts the story of infamous British-born terrorist Ahmed Omar Saeed Sheikh, who kidnapped and murdered Wall Street Journal reporter Daniel Pearl in 2002. It stars Raj Kummar Rao in the lead and is 96 minutes long. The third one is Bornilla Chatterjee’s The Hungry. It relocates Shakespeare’s bloody tragedy Titus Andronicus to modern-day India, where corruption, greed, and revenge run rampant at an extravagant wedding. This year’s edition of the Mumbai Film Festival started with its opening ceremony at the restored Royal Opera House. While the re-opening of venue was the talk of the town, cinephiles were happy that two iconic filmmakers, Jia Zhangke and Sai Paranjpye, were honoured with Excellence In Cinema Awards. Here are some snapshots from the opening ceremony of the fest. Let the movie madness begin! See you at the movies. 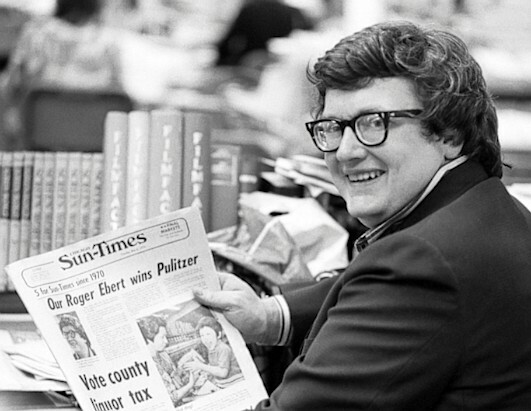 There is a nice little picture of Roger Ebert (or Ebert saab, as we call him) which keeps getting featured. He is looking into the camera with his head turned, smiling, holding the Sun-Times newspaper in his hand. It has the headline, Our Ebert Won Pultizer. It’s one of those images that stays with your for eternity. That “Our” in the headline puts such a strong sense of pride and belonging. If you haven’t seen the image, click here. And that’s the inspiration for our header too. Masaan has been doing the festival rounds since its premiere at Cannes. And it has also been bagging a lot of awards, again starting from Cannes. But National Awards has its own charm and it feels like a perfect homecoming. Neeraj Ghaywan won the Swarna Kamal for Best Debut Film Of A Director. And Varun Grover won the award for Best Lyrics, for Dum Laga Ke Haisha’s Moh moh ke dhaage. Here are some pics from the D-day. UPDATE – Here’s some more update from our Masaan boys. Both Neeraj Ghaywan and Varun Grover have decided to donate their cash prize towards relief work for farmers. All in their tweets. Out of the 1.25 Lakh prize money, I will donate 50,000. Together, me and @varungrover will donate 1 Lakh rupees. Of course, it's a small amount, but my intent to make it public is to draw attention to agrarian crisis & encourage possible contributions. The event happened in May. And somehow we missed it. But the pictures are so priceless, we thought it would be good to share with you all. All these pictures were part of the exhibition, “The Master & I”. The event was part of Ray’s 94th birth anniversary celebration. Click here to read more about the event. Move your cursor on any pic to get the description. And click on any pic to start the slideshow. Thanks to Debosmita Sarkar for the pics from the exhibition. Neeraj Ghaywan’s debut feature Masaan (Fly Away Solo) is premiering at the ongoing Cannes Film Festival. Written by Varun Grover and starring Richa Chaddha, Sanjay Mishra, Vicky Kaushal and Shweta Tripathi, the film is competing in Un Certain regard section of the fest. Click here for the official synopsis, cast and crew list. Click here to check out a new clip from the film. And here are some happy faces of the film at the fest. Click on any pic to start the slide show. So after much hype (courtesy our friends Namrata Joshi, Aseem Chhabra and others), a few of us finally ended up joining them this time at the 3rd edition of the annual Dharamsala International Film Festival, up in the beautiful township of McLeodganj- and I’m happy to report that it did live up to the buzz, and I can’t wait to get up there again next year. It’s an excellently organized festival- with helpful signs all over town to guide you, autos hired to take you up to the main venue TIPA (Tibetan Institute of Performing Arts) and a wonderful, warm team of volunteers, some of who travel from various parts of India and the world to be part of this joyous little celebration of cinema up in the mountains, in a town without a single cinema theatre. Clearly, the common thread among many of the films shown at DIFF was that they belonged to the genre I will call ‘cinema of social unrest’- and from what I hear, this was the case the year before as well. So there are many documentaries as well as fiction features about social and political movements, revolutions, human rights violation and conflicts of land, culture and identity. This feels especially apt considering Dharamshala itself is a place where you can distinctly feel the angst of displacement and the forced refugee status of Tibetans under the gentle, tranquil atmosphere of the town. Avinash Arun’s debut feature is a gorgeously evocative and poignant film about friendship, loss and the resilient ability of children to deal with disappointment, displacement and even death. Killa is clearly a very personal film, and is shot and crafted with great love and sensitivity. It also features some unforgettable, textured characters brought to life with amazingly natural performances from Amruta Subhash, Archit Deodhar, Parth Bhalerao and a wonderful ensemble of young actors. This is yet another strong contemporary Marathi film about children, and definitely the one with most finesse out of the ones I’ve seen. I must mention here though that I haven’t seen Umesh Kulkarni’s acclaimed Vihir yet- interestingly, Avinash Arun cites Kulkarni as his mentor and a strong influence. This shattered my heart and blew my mind to bits. Jehane Noujaim’s The Square is the most devastating film I have seen in a long time and easily the best one I saw at Dharamshala. The film puts you right at the heart of a revolution inside Tahrir Square, with young, common people spiritedly fighting a fascist and fundamentalist regime in Egypt, spilling their blood and guts out for the hope of a brighter, free future even as they come to the crushing realization that courage and idealism aren’t enough to win their war against oppression. This is absolutely essential viewing- the auditorium was filled with tears and goosebumps in the end and the applause didn’t stop till the credits had finished rolling. Director Hany Abu-Assad cleverly sets a gripping tale of love, deceit and betrayal against the Palestine-Israel conflict. The film borrows sparingly from Romeo and Juliet and Othello to give us a heady mix of socio-political thriller and Shakespearean drama- and while a comparison might be a little unfair- I can’t help feel that Omar blends the two a lot more seamlessly and effortlessly than Vishal Bhardwaj’s Haider, which of course is very good in its own right. Adam Bakri gives a superbly charismatic performance as the protagonist- though admittedly, it’s hard to take your eyes off him anyway considering how jaw-droppingly good he looks. Filmmaker Gitanjali Rao showcased a great set of Indian and international animated shorts curated by her at DIFF (including her marvelous Printed Rainbow), and ended the session with her newest film True Love Story, which screened at the Cannes Critics’ Week section earlier this year. The film, originally scripted to be part of a feature film (alas, no one wants to fund quality animation films in India) begins as a homage to masala movies which is both affectionate and hilariously tongue-in-cheek- but in the end reveals itself to be a sharp social satire, using a real-life tragedy that made headlines a few years back (the court case is still on) to brilliant, scathing effect. The film is a visual and aural delight with its colorful evocation of Bombay’s sights and sounds through Bollywood tinted glasses, and hopefully it will make its way to a wider audience soon. And I hope some producers funding ‘indie’ films (which more often than not, turn out to be sub-par) see the potential in this medium and back Ms Rao’s extraordinary talent and bring more of her singular, unique vision to the big screen. Danis Tanovic’s desi film Tigers starring Emraan Hashmi will have its world premiere at Toronto International Film Festival this year. Synopsis, cast & crew, and other details of the film is out. Devastated when he discovers the effects of the infant formula he’s peddling, a young salesman challenges the system and the powers that be, in this based-on-fact drama from Academy Award-winning director Danis Tanovic (No Man’s Land). Multinationals’ activities in the developing world come under harsh scrutiny in Danis Tanovic’s hard-hitting new drama Tigers. No stranger to controversy, the Academy Award-winning director is unafraid to stick his nose into contentious subject matter. Here, he explores Pakistan’s fascination with Western drugs, basing his film on a true story — its real-life protagonist lives in Toronto — involving a corporation aggressively trying to increase its market share through the sale of baby formula to new mothers. Ayan (Emraan Hashmi) is a young, recently married salesman who gets a job peddling locally made drugs to pharmacies and doctors. Despite the fact that the Pakistani-manufactured pharmaceuticals he sells are much cheaper than those sold by Western competitors, no one will trust or buy products that lack major brand names. His wife encourages him to apply for a job with Lasta, a large multinational, and Ayan is hired on a trial basis. It’s not long before his natural charm and knack for glad-handing make him into a minor star, and Lasta expands his responsibilities. However, one day he is devastated to see first-hand what the selling of baby formula really means in certain cases. Shocked, Ayan sets out to challenge the system and the powers that be. In a neat piece of narrative structuring on Tanovic’s part, this David-and-Goliath story is told partially through the eyes of a film crew making a documentary on Ayan’s astonishing findings. But the power of Tigers lies in his willingness to push his film out onto the streets of Pakistan and into the face of a system where narrow interests prevail, and an honest man doing the right thing is castigated and threatened, and finally sees his life endangered. Danis Tanovic was born in Zenica, Bosnia-Herzegovina, and attended l’Institut National Supérieur des Arts du Spectacle in Brussels. His feature films include No Man’s Land (01), which won Best Screenplay at Cannes and the Academy Award for Best Foreign Language Film; L’enfer (05) and Triage (09), both of which premiered at the Festival; and An Episode in the Life of an Iron Picker (13), which screened at the Festival and won the Silver Bear at Berlin. Tigers (14) is his latest film.